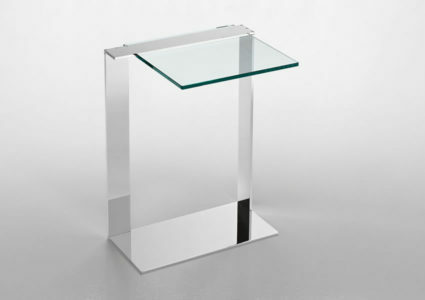 Small table or bed side table available in two heights. 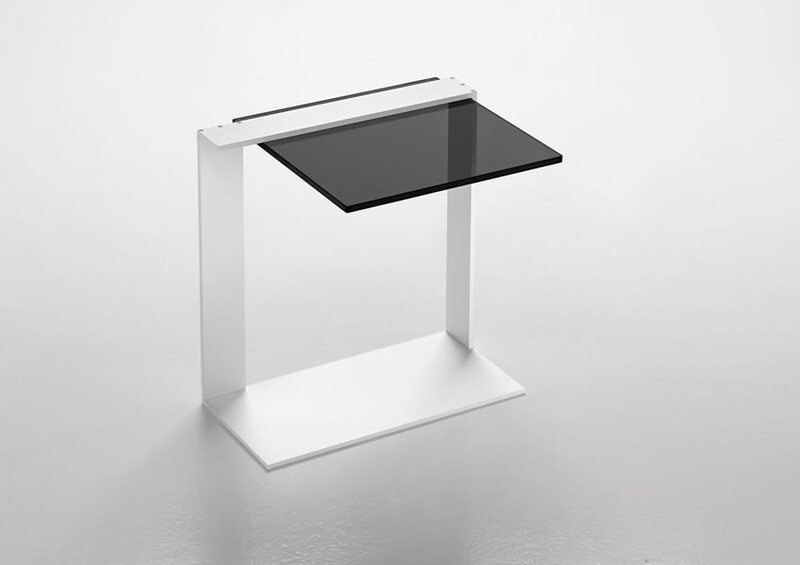 Metal support, available in chrome, white or black lacquered. 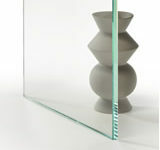 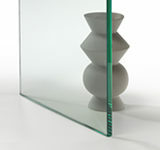 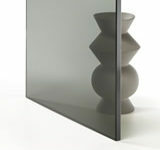 Top in trasparent, extraclear or smoked glass.